In the 2014 fiscal year, Duke University researchers received $343.5 million in lab funding from the NIH. Duke University also had $851.2 million in total R&D expenditures in 2012. This funding is used to fund and start promising bioresearch projects and construct new buildings and research centers on campus. Duke University will receive a $137 million grant to aid in the discovery of an HIV vaccine and will receive $19 million of this in the first year. The rest of the funding will be disbursed over the next 6 years. A five year and $47 million grant has been awarded from the NIH to the Duke Translational Medicine Institute for biomedical research advances to patient care. Duke's Pratt School of Engineering won a $15 million grant renewal from the NSF and the US Environmental Protection Agency to continue learning more about where nanoparticles accumulate, how they interact with other chemicals and how they affect the environment. 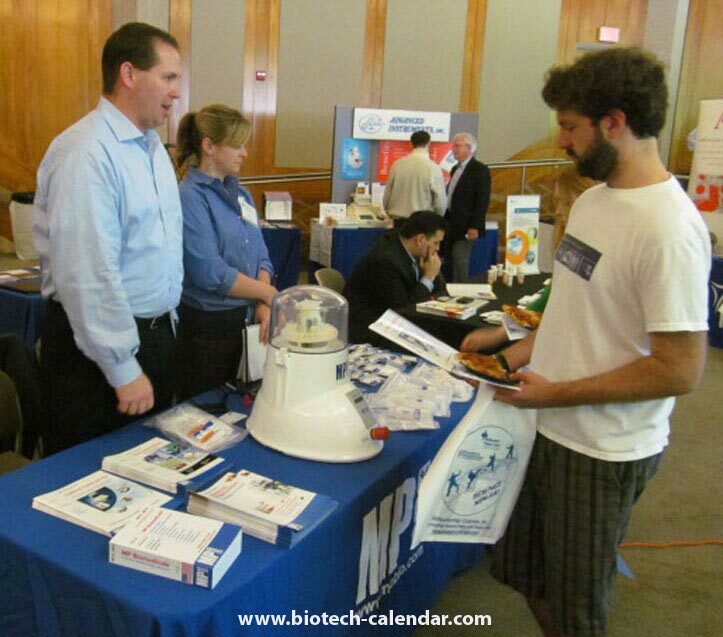 Biotechnology Calendar, Inc. provides lab supply companies with an ideal opportunity to market lab products and technologies to these Durham area researchers with the funding and need for new lab supplies. 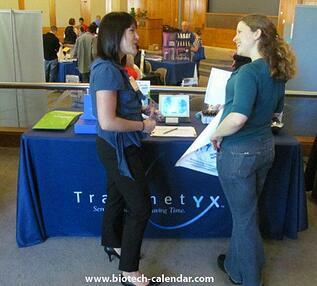 The 16th Annual BioResearch Product Faire™ Event at Duke University coming up on May 13, 2015 allows lab suppliers to meet face-to-face with nearly 200 life science researchers in a fun, friendly, and professional environment. This show benefits both lab supply companies and Duke researchers. By bringing lab suppliers and researchers together in one place, the lab suppliers exhibiting at the event know that the researchers attending want to be there. Instead of walking door-to-door to research labs and risking getting ignored by researchers who are too busy to speak with you, the researchers who attend this event are there because they want to see what new products and technologies are available to them. Everyone saves time by meeting in one place to discuss available product options. 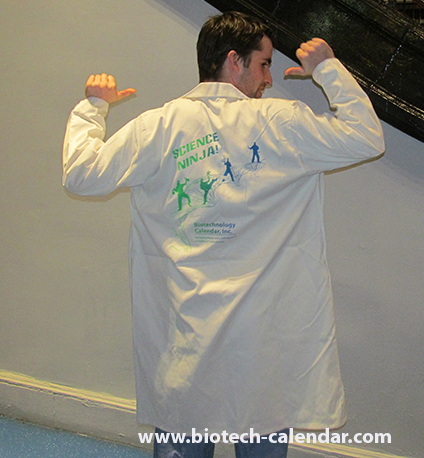 At last years 15th Annual BioResearch Product Faire™ Event, 180 researchers, lab managers, PI's, purchasing agents, post-docs, grad students, and other lab personnel attended the event. Of these 180 attendees, over 26 percent were high level decision makers. The 180 participants came from 42 different research departments and 23 different on-campus buildings. "This was a great show. I'm very happy with my results." "Great job! Well planned out." "This show was well done. Great customer care and follow-up making sure we are aware of upcoming shows, then taking care of us once we're there." One exhibitor spoke with 25 high quality leads about a product that costs $175,000 and is purchased once a year (A potential of $4,375,000 in new business). Another exhibitor reported connecting with 3 high quality leads for a product that costs 150,000 and is purchased once a year (A potential $450,000 in new business). 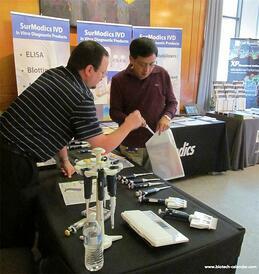 We invite you to participate in the 16th Annual BioResearch Product Faire™ Event at Duke University on May 13, 2015 where you can join other top exhibitors in bringing the best new tools and technologies to Durham area researches. Researchers at Duke University are encouraged to visit the link below to pre-register for the event on May 13, 2015 to save time at the door.